This cube is absolutely magnificent. It became my main after the first solve. The only problem is with the stickers. They have started chipping with is a real bummer. Still, all-in-all, magnificent cube. When you first get the cube it has a light, buttery feel. It flexes a little bit and never pops. After you break the cube in (mine has hundreds of solves) the cube still has that similar feeling but the turning feels nicer and crispier. Overall this is a very good cube . I seem to have problems with catching. The speed , corner cutting , and anti popping mechanism is terrific . I overall like this cube. 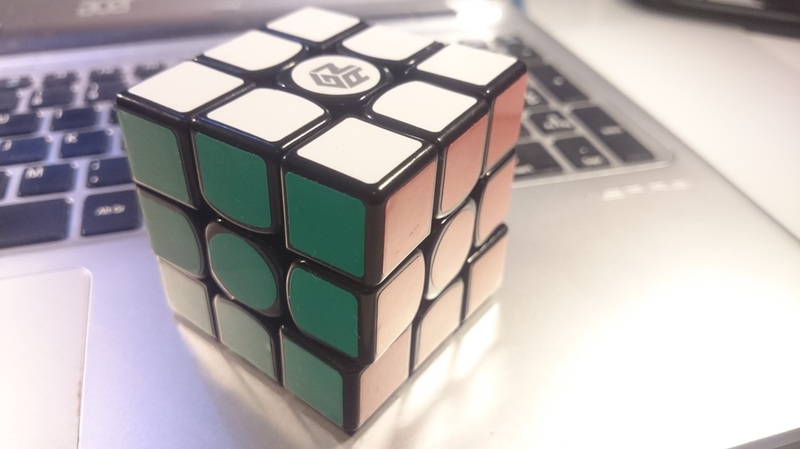 The Gans 356s V2 is a great cube. It is stable, and controllable fast. Lockups and catches seldom occur. When you turn it slowly, it feels a little bumpy and like an overlubed cube. However when you turn it fast, it feels buttery and very solid.Corner cutting is good, and its reverse corner cutting is excellent. The only bad thing about this cube is its stickers. Only after a week, they have started chipping. Overall, this is a good cube, which most cubers would like. Out of the box, it wasn't that fast but after setting up and after about a hundred solves, this cube is very smooth,and fast. Corner cutting is about 60 degrees and reverse is about a piece. It had never popped, or corner twisted on me. It does get some lockups, but it is very minimal. This cube is really a good cube. The only weakness is the speed of the cube seems like a little bit slow compared to the Gans 357 . I got both of it and I tried it, 356 are very hard to control for me, if you're a sub 20 or even faster, you might like it. In conclusion, 356 did well but it's not my main, I prefer TangLong because it's much more controllable. With the new cap of 356 , the blocking issues had been reduced to the minimum but sometimes it still happens. Warning here , if you get master edition for 356, don't simply change the spring if you're not professional, I tried it before and it caused me few hours to fix them back. That's all from me, pretty good cube but expensive, you can try it. This is the most advanced and best cube on the market so far. I love the feel for this cube. No popping or corner twists. After about 100 solves still no corner twists. This cube is really a good cube. The only weakness is the speed of the cube seems like a little bit slow compared to the Gans 357 . I got both of it and I tried it, 356 are very hard to control for me, if you're a sub 20 or even faster, you might like it. In conclusion, 356 did well but it's not my main, I prefer tanglong because it's much more controllable. With the new cap of 356. The locking issues had been reduced to the minimum but sometimes it still happens. Warning here , if you get master edition for 356, don't simply change the spring if you're not professional, I tried it before and it caused me few hours to fix them back. That's all from me, pretty good cube but expensive, you can try it. This Cube is like God in Cube Shape. When you break in the Gans 356 it became a bit slower, this cube however gets a bit uncontrollable. It is pretty much flawless otherwise. It no longer catches on the center pieces or on the groves of the corners against the torpedoes of the edges. It can corner cut anywhere which is improved. I would recommend tightening the screws in the pieces as it tightens the cube but doesn't reduce the speed. This cube is my main. i love it so much. it never pops, corner twists, corner cutting is the best I've ever seen, locks very little since i have the new centre caps but does have a tiny weeny little bit but it never affects my times during solves and the speed is really fast but controllable and out of the box it is really fast and buttery smooth and with breaking in, it becomes crisp and slows down a bit to the right speed. one bad thing is the sticker shades they are a bit dull for my liking and because of that i change them with my preferred shades from TheCubicle. It is the best cube I have ever got! Even better than moyu hualong,aolong and yuxin (my previous mains). It can be highly modified therefore anyone can use it there were bit catching issues which now have been eradicated by the new caps. Overall 5stars!! Its is pretty fast very smooth. Like butter smooth. It never corner twists or locks, and does lock occasionally. 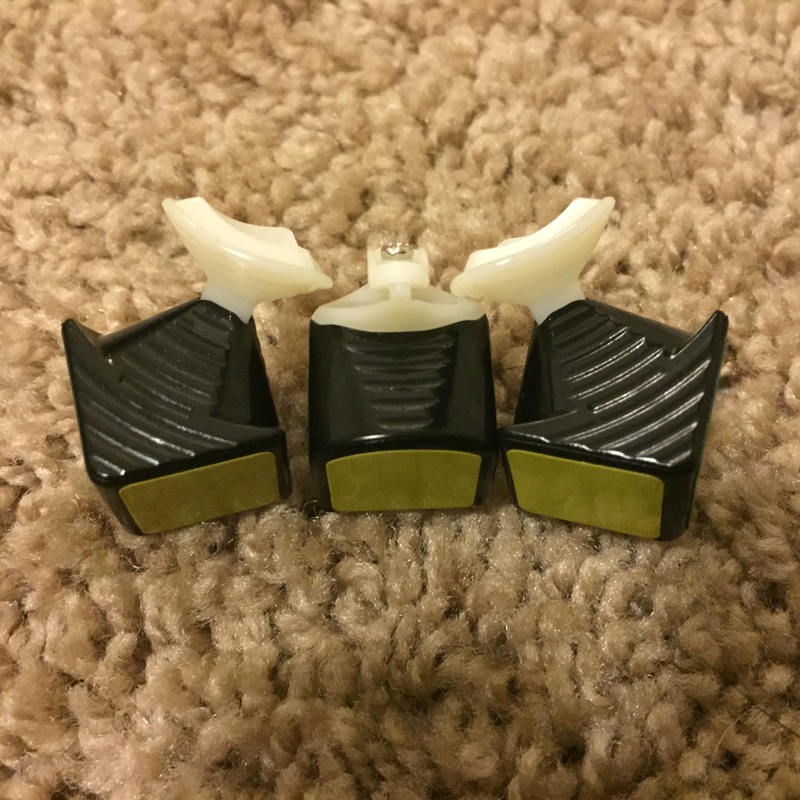 But, with the v2 center caps lockups barely happen. Corner cutting is 55 degrees or more and reverse is like 40 degrees. Ive done almost 2000 solves and maybe 1 pop on very loose tensions and no corner twists. It is good and there are no problems other than very small locks. You should buy it. Feliks uses it and there is a reason why. 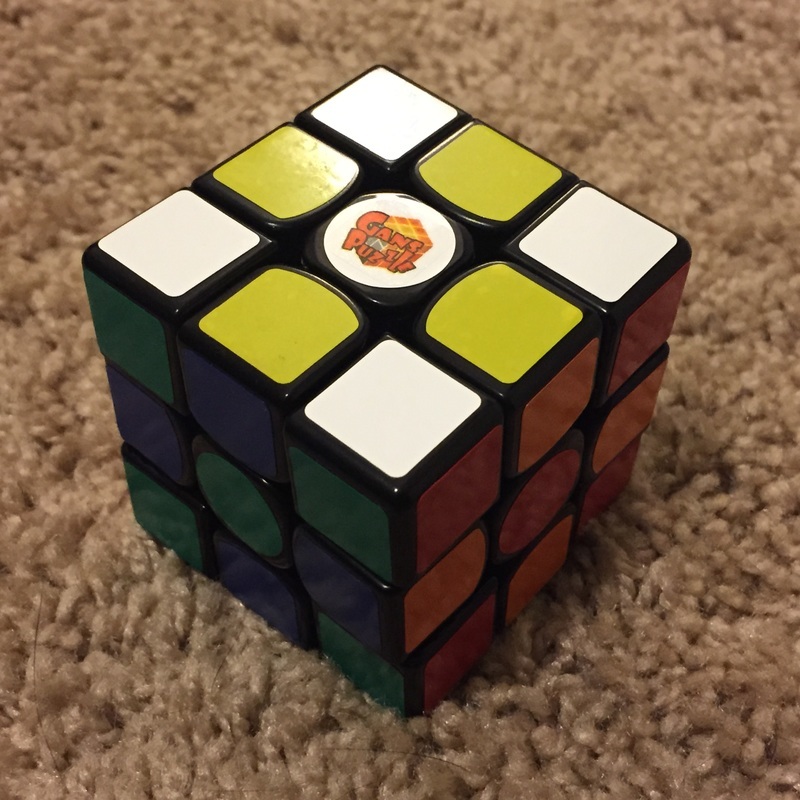 The Gans 356 is a very smooth cube, it has nice sticker shades and a good weight - not too light and not too heavy. It is extremely fast and has a nice buttery/smooth feeling to it. The corner cutting is very good although some catching can occur in reverse cutting. Locking on this cube can be and issue, but once you adjust to its turning style it becomes only a small problem. 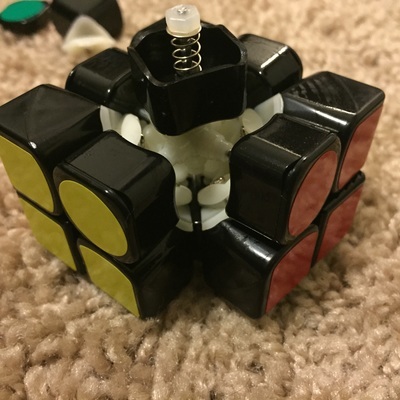 I personally have done 100's to 1000's of solves on the cube and i have not experienced 1, in-solve corner twist. When trying to make a corner twist it requires a lot of force. Like the corner twists i've never experienced a pop, even taking it apart can be a challenge sometimes! Overall i'd give it a 4/5, if they fixed the locking/catching issue this cube would be 5/5 without a doubt. This cube is amazing. Right out of the box the speed was fantastic, but it had a locking issue on reverse corner cuts. This, however, can be solved by loosening the screws on the corners, and pulling the base of the corner until you hear a click. After the simple adjustment the cube easily became my main. It also has very good M-slice turns. This is a special cube. There is nothing else like it on the market. It has a feel of smoothness, and quality. I find it to be the perfect blend of speed, stability, and corner cutting. The only catch is, the catches. They do not happen to me often during solves, but are the only thing keeping this from being the absolute perfect cube. Do not let that keep you from purchasing the 356 though. I highly suggest this cube for anyone who is looking for something out of the ordinary. It arrives with perfect tensions and pre-lubed. I have a few cubes that I love, but I have been falling back on the 356 as my main. This was my second cube, but i have tried other 3x3 because of my friends. So far i have solved about 700-800 times on this cube and it feels awesome. Because of squared corners, i was getting lot of lock ups at first, but after loosening the screw inside corner piece and pulling out until it clicks really helped out. It feels crunch and wobbles in your hand little bit, unlike moyu aolong or hualong. I mean it is still expansive for 3x3, but it comes with stand and gans356 instruction booklet that has in formation about this cube on one side and all F2L, OLL, and PLL on other side. Looking at this, i think this is very nice cube. Out of the box, this cube is amazing. It's feel is so buttery and smooth and excellent and the corner cutting is beautiful. It comes tensioned with the bolt flush with the nut which, for me, is not too tight and not too loose. After many solves I started to notice lock ups with the reverse corner cutting, much like as described in the Cubeologist's YouTube video. 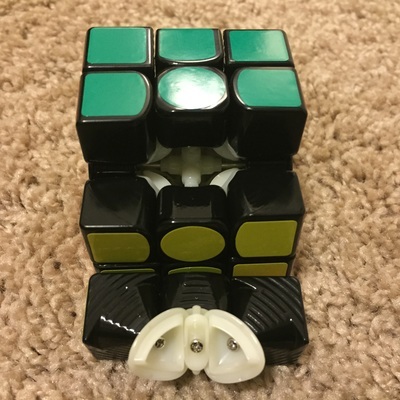 To prevent this, I tried the 'non-sanding' mod shown in 360cuber's Gans 356 review on YouTube, because I didn't feel up to filing such an expensive cube. The mod worked okay, by I had to keep pulling the corners out after they would continuously be pulled back in towards the tight core. After watching the Cubeologist's Gans 356 mod video a couple of times, I attempted the sanding mod which took me about half an hour, and I succeeded. I think the mod is great and everyone should try it. I thought it would be risky at first because I didn't want to stuff up a $30 (AUD) cube, but it isn't too hard to do it carefully. I lubed the pieces and core with weight 1 and replaced the stickers with my colour scheme and it became my new main. Overall, this cube is not too fast but fast enough, it is very good at corner cutting and it has a locking issue that will go away with a simple mod. Corner twists and pops are very minimal on this cube and I think it could potentially be the best 3x3 on the market. The Gans 356 is a quite fast cube that boasts the best reverse corner-cutting I've ever seen. It never pops due to a great anti-pop mechanism, and corner-twists are virtually impossible thanks to the corner extensions. This cube only has two main flaws; it is a bit flimsy, not like the Gans 357 was, but still enough to annoy me. It also has a strange locking problem that occurs when the corner extensions hook onto the center piece. This locking issue is the only reason this cube did not receive 5 stars, since it is a problem that prevents me from solving fluidly. I would still recommend this cube, but keep in mind this locking problem may affect you. The Gans 356 is really good, and definitely one of the better cubes on the market. The cube has a very nice and unique unique smooth, springy feel that is really difficult to describe. It is definitely fast, but not the fastest cube on the market. For me, this speed is perfect. The corner cutting is great. The cube cuts way more than 45 degrees, and reverse cuts almost a full piece. The biggest issue with this cube is the occasional catches. This happens because of the sharp corners that sometimes get stuck in the center piece. However, that problem can be fixed by rounding off the corners, which I did to mine. I've done about 500 solves on this cube, and I haven't experienced a single corner twist, nor a pop. Overall, this cube is really good. In fact, the only flaw is the catching problems, but as I said, that can be mostly solved by modding the corner pieces. Out of the box, I was rather unimpressed with this cube, as it would shift unpredictably between feeling very fluid and very blocky. However, after rounding the sharp corners, rounding off the centers, loosening the pieces, lubricating and tensioning the cube to my liking, and breaking it in, I can confidently say that the Gans 356 is the best cube I have ever tried. It is incredibly fast, but rarely uncontrollable. Corner cutting is beyond sufficient, cutting effortlessly at over 45 degrees, and almost a full cubie for reverse corner cutting. As a result of this, lockups are almost nonexistent on this cube. Furthermore, the unique mechanism makes pops and corner twists next to impossible. If you are willing to spend the money and time, there is no better cube on the planet, in my opinion. This is a very nice puzzle. It feels like a scratchier Aolong V1. It's slightly bumpy too.It's corner cutting is amazing, but could catch. This is a fun cube. It is not as fast as the 357, but is not sluggish either. It is a very controllable cube. Mine locks up a ton, and has ruined some solves for me. I will try sanding some pieces down in the future, but at the moment I don't want to alter a cube that is quite high in cost. Corner cutting is decent, but reverse is what this cube does best. It may catch, but if it follows through it will reverse corner cut better than any other cube on the market IMO. I don't know if this cube is better than the 357. It has a completely different feel than it and it may be worth it to have both if you like this type of speed cube. This cube is almost perfect. Out of the box it is fast and almost never locks. The corner cutting is alright, but what really shines is the reverse corner cutting! This cube is quite quiet as well. i love quieter cubes, and this may be the best Compared to other cubes out there this thing is almost silent. Think Shengshou Aurora (for those who have tried it). 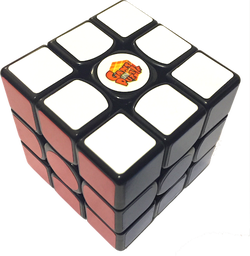 The cube is very structurally sound and although does move around a lot, it is nothing compared to the Gans 357 or MoYu HuaLong. This cube can be quite pricey, but is 100% worth the money.